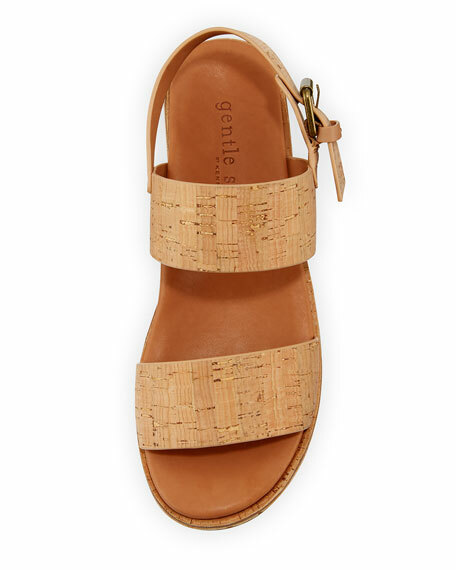 Gentle Souls cork city sandal. 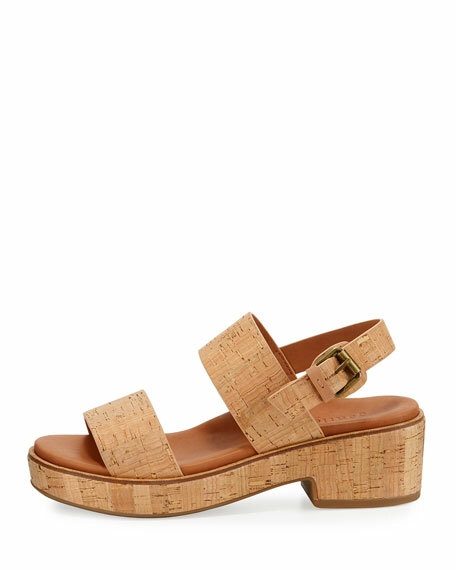 2.5" cork block heel; 1" platform; 1.5" equiv. For in-store inquiries, use sku #2147070.